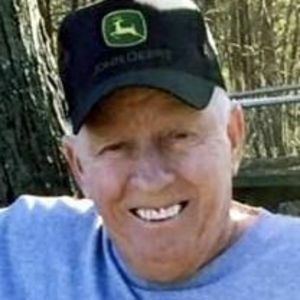 Gary William Law, 62, of Liberty, passed away on Sunday, December 31, 2017. A funeral service will be held on Wednesday, January 3, 2018 at 2:00 p.m at Pleasant Hill Christian Church in Liberty. The family will receive friends from 6:00-8:00 p.m. on Tuesday, January 2, 2018 at Loflin Funeral Home in Liberty. Gary was the son of the late David William and Dorothy Hodgin Law; and was also preceded in death by his sister-in-law, Sharon Law. He is survived by his brother, Stevie Law; sisters, Wanda Collins, Judy Smith (Chuck), Frances Ellis (Mike), and Vickie Smith (Ronnie); nieces, Debbie Collins and Connie Pugh (Travis); nephews, Mickey Smith, Josh Law (Stephanie), and Ryan Smith; great nieces, Taylor Smith, Kaydence Smith, Alaina Law, and Brittany Rancourt; and great nephews, Bryson Kivett, Tanner Law, and Brandon Rancourt. He enjoyed being outdoors and was an avid NASCAR fan. Gary was a loving brother and a special uncle to his family. He will be missed by many. In lieu of flowers, memorial contributions may be made to Hospice of Randolph County, PO Box 9, Asheboro, NC 27204. Loflin Funeral Home of Liberty is honored to serve Gary's family.